When you are new to blogging, it is fairly understandable that you might push out some low quality article which might assault back if you don’t take care of them. Deleting them or replacing the content with quality content would certainly help. 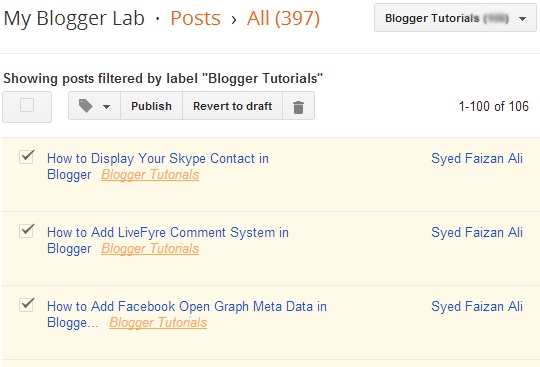 Recently, we see a lot of people asking a pretty simple question that How to remove Multiple posts at once in Blogger? If you are looking to remove multiple posts in just one go, then you are rightly here. 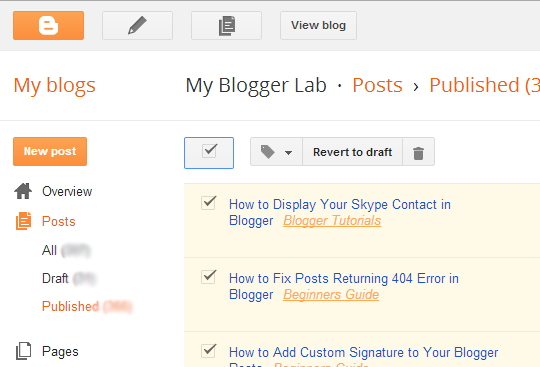 In this article, we will show you How to Properly Delete Multiple Posts at once in Blogger? The first thing you need to do is to Login into your Blogger account and from dashboard go to your blog >> Posts Where you will be able to see a list of all your Published, Draft and Schedule posts. Select the “Published” tab and it would display only those posts which are published on your site. To remove multiple posts you can use the check box located just next to the title of your posts. You can simple check (Tick) as many post and can either revert them to draft or can completely delete them from your website. This not only makes the while process works smoothly but also saves you time. If you want to get rid of all the posts tagged with a particular label, then you can also try it out. Just select a specific Label from the drop down menu located at the top of your screen. On selecting a certain label it would display all posted tagged with it. 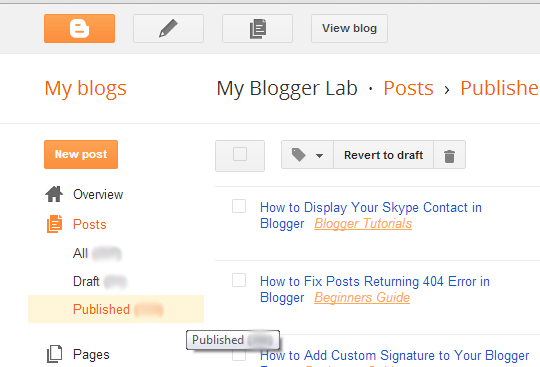 Simply check (Tick) the box located just below the title of your blog and it would automatically select all articles. Now hit "Recycle” icon and you are done. 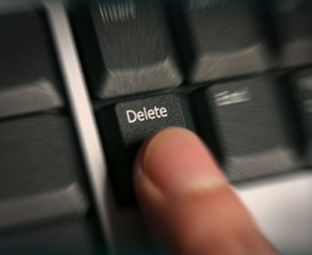 Congratulations: you have successfully removed all unwanted articles from your site. Now your site is secure from any kind of Manual spam plenty either from Google Panda or Penguin. It is quite common that the articles written in the early days of a website are not of pure quality. A person who is just starting to learn cannot write beautifully professional content. After writing so many articles, he finally learns the real way of writing true content. Therefore, he re-considers his old articles by either editing them or completely removing them from his site. Honestly speaking, there is no harm in deletion or revision of your published articles. We hope, this article would help you in getting rid of any useless articles from your site. If you have a better way of doing the same thing, then do share it with us. Will you ever delete any article that is no getting any traffic? Or you will wait till it starts getting the traffic flow? Leave your opinions in the below comments. I Know This how to delete all posts..but i'm trying to find a solution where i can delete all the posts images that have been stored in picasa. Bing has indexed one of the post that was deleted and its there till now , i want it taken down too..
ok , i have 2000 posts which need removing - and blogger forces me to delete 50 at a time , this isn't 1985. We got to work with the limitations!